90 Day Fiance: What Now? has revealed new details about the events that led up to Jonathan Rivera and Fernanda Flores' break-up and confirmed Jonathan has filed for divorce. Jonathan, 33, confirmed he is divorcing Fernanda after disclosing in March he was trying to prevent his estranged wife from receiving U.S. residency by canceling the affidavit of support they had initially filed. While Jonathan has said his relationship with Fernanda, 20, didn't work out because she wanted to pursue a modeling career and had a change of heart about their life together, he never revealed many additional details about what exactly went wrong between them, and Fernanda has largely declined to talk about the matter either. However, 90 Day Fiance: What Now? 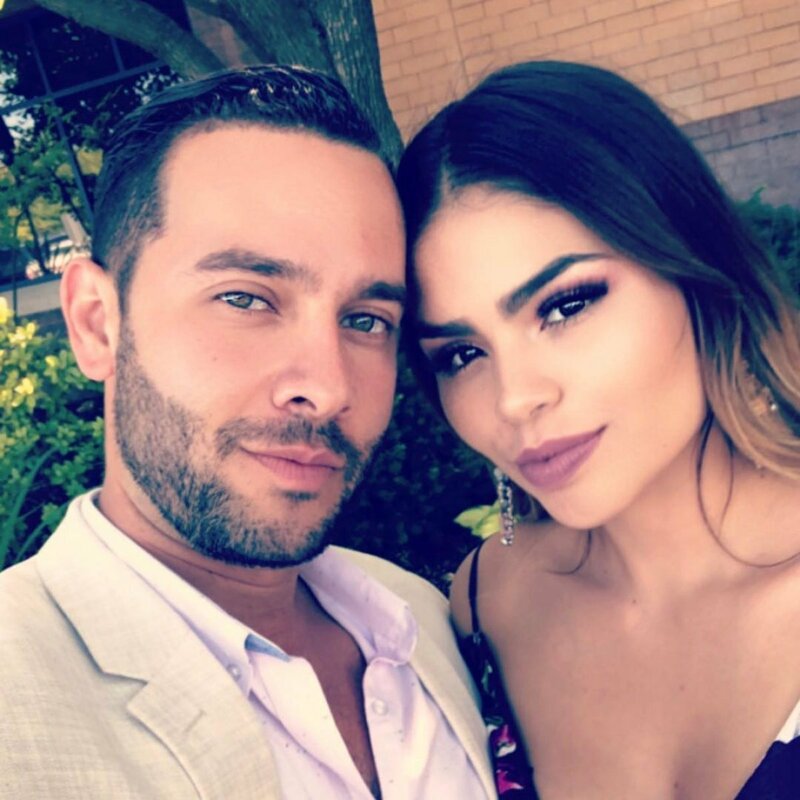 's newly-released third season includes three episodes which shows Jonathan and Fernanda's relationship unravel, and then Jonathan -- who confirmed their separation on social media in early January 2019 -- share his side of the story on why their marriage failed. The major point of contention between the former happy couple was living in Lumberton, NC, where Jonathan works as a real estate agent. Fernanda admitted the town in which she grew up in Mexico was small but Lumberton is "10 times smaller." Fernanda, a self-declared "big city girl," felt lonely, bored and "trapped" in her home with Jonathan because, due to her immigration status, she still lacked independence and couldn't yet drive or work for her own financial stability. In addition, Fernanda revealed on 90 Day Fiance: What Now? she wanted to take acting classes in order to become an actress as well as a model -- and she felt such opportunities didn't exist in Lumberton. "This is frustrating because I left my family and everything in Mexico. I would prefer Jonathan sacrifice some things in his life to have the things I prefer," Fernanda told the cameras, before telling Jonathan she simply wasn't happy in his town and never would be. Fernanda therefore had her heart set on moving to Chicago -- where Jonathan's family lives, and Fernanda and Jonathan had already previously visited to spend time with his family -- to pursue her acting and modeling dreams. However, Jonathan was reluctant to uproot their lives since his connections were in Lumberton and he had already established a good reputation there. "I would be sacrificing my dreams for yours," Jonathan told Fernanda on 90 Day Fiance: What Now?. "That's something that I consider selfish," Fernanda argued. "I will not live here forever. I know that I can, but I don't want to. I want opportunities to do what I've always dreamed to do... I don't like it here. End point." Fernanda's mom also appeared to disagree with Fernanda's desire to relocate to Chicago and pursue her acting and modeling dreams, reminding her daughter that the "point" of Fernanda's move to America was for her to marry Jonathan and start a family with him. Instead, Fernanda's mother urged her to be more patient and wait to move to Chicago until Jonathan had accomplished some of his goals and felt more comfortable relocating. In one joint interview with producers, Jonathan also claimed one of Fernanda's issues with Lumberton was she believed the area's residents were close-minded. "I'm dying in this town. I'm sorry, but I'm not staying here," Fernanda told Jonathan. "I'm not living here. I don't like it. I'm sorry." "Fernanda, you haven't given it a try. Have you given it a chance?" Jonathan replied, urging her to be honest. "No. I don't want it.... no, because my mind is closed to [being] here," Fernanda said. "But that's part of the reason you don't like it here -- because people have closed minds -- but you're doing the same thing," Jonathan responded. Fernanda appeared to continue to push Jonathan to move to Chicago, which the couple was already planning to visit for Christmas with his family. But since Jonathan wasn't budging and insisted Fernanda wasn't giving Lumberton a fair chance, they were fighting constantly and at a standstill in their relationship. "I think in a couple of months, the right way is for me to be gone first and I start to work and have my own apartment," Fernanda told the cameras. "I think Jonathan knows how much I care for him and he [won't] feel that until I move and then he's alone here. Trust me, once that I'm gone, he will miss that." 90 Day Fiance: What Now? then transitioned into Jonathan saying he and Fernanda had separated. (Jonathan previously alleged the last time they spoke was December 22, 2018). "Fernanda chose not to share her side of the story about the end of their relationship," the episode showed in an on-screen graphic. Jonathan therefore was the only person who opened up about the demise of their marriage. "At my friend's Christmas party [before Christmas], there were several times Fernanda was trying to embarrass me in front of my friends. She even went as far as flirting with another guy to get my attention," Jonathan claimed. "I just wasn't having it. I went back home and she shows up an hour-and-a-half later, and she is packing some of her things. She goes, 'You're not my husband; I regret ever meeting you.'" Jonathan alleged, "The night literally ended with me running from my house because I couldn't fight with her anymore. I decided it was time to separate shortly after that." Jonathan said he decided to end things immediately rather than drag their relationship out for another five years or more. "She's like, 'I want to fix this, I'm sorry.' But by then, I was already like, 'No, this is not going to work,'" Jonathan alleged. According to Jonathan, Fernanda moved to Chicago after the couple split and they didn't talk at all. Jonathan said he and Fernanda saw new sides of each other while living together and they never would have gotten married so quickly had it not been for the K-1 visa requirements of bringing Fernanda to America. Jonathan said divorce was the couple's only option, and once he informed Fernanda of his decision to file, she allegedly agreed but demanded half the income he had earned during their marriage. "She said, 'Okay,' and then followed up with a text message two days later saying, 'I'm going after what's mine. I want 50 percent of everything you earned from the day we were married to the day we get divorced,'" Jonathan claimed, revealing they had never signed a prenup. "I think the thought of her losing her visa is why she's acting out now... If we get divorced, she can't become a U.S. citizen. I think she's doing everything she can to try to stay in this country." Jonathan was also shown meeting with an attorney on 90 Day Fiance: What Now? to figure out his options following the separation. Jonathan learned he must withdraw the affidavit of support immediately in order to not be responsible for Fernanda financially for 10 years. Her application for a green card would likely be denied, and she may be deported back to Mexico as a result. As previously mentioned, Jonathan ultimately made the decision to try to cancel Fernanda's green card and file for divorce with the understanding he could not change his mind or take any of it back. Jonathan wanted to protect his assets and financial interests, but the attorney pointed out Fernanda will be able to fight for alimony in the divorce proceedings given they had never signed a prenup. "I want this [divorce] to happen rather quickly so we can both go our separate ways. I can't control what she does. I can only control my actions," Jonathan told the cameras. "And I'm going to do it professionally and handle it with class, but I will keep what's mine, and that's my business." Jonathan and Fernanda starred on Season 6 of 90 Day Fiance.